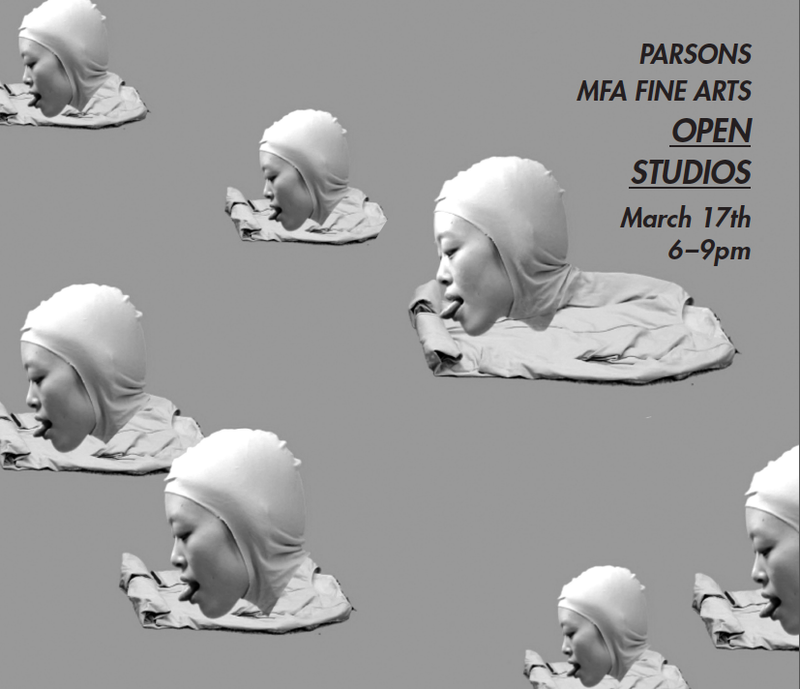 The MFA Fine Arts program is hosting an OPEN STUDIOS event on March 17th from 6-9pm in the MFA Studio spaces located at 25 East 13th Street, 5th floor. ALL WELCOME. Come see what our fine arts students are working on as they approach their MFA thesis shows. Works in progress involving painting, sculpture, photography, performance, installation, textiles and video will all be on display for the public this one night only. This event is in conjunction with the BFA Open Studios taking place on the 4th floor of 25 East 13th Street during the same hours.